Its smooth sailing around the world with Seven Seas by Whistler Studios. 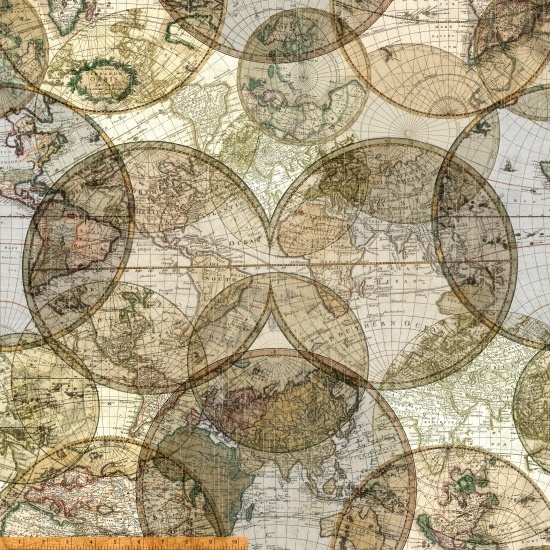 Maps, compasses, globes and nautical textures lead the way. The vintage palette of parchment, ash, mossy olive and weathered khaki have an antique quality perfect for old-world quilts and projects. Finish your Seven Seas quilts with our stunning 108" World Globes backing! On Sale: January 2019. Ships: July 2019. 11 skus + 1 sku 108" wideback.